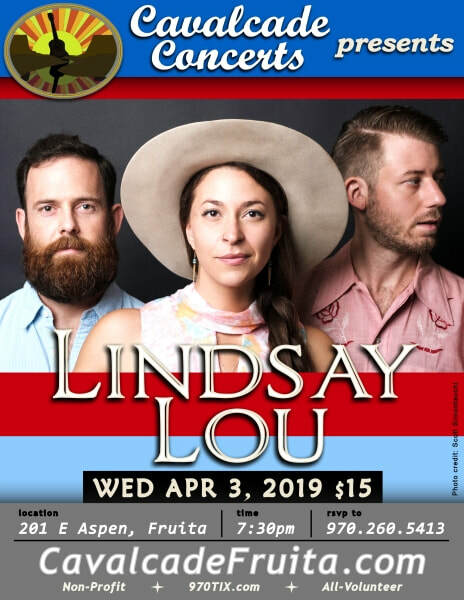 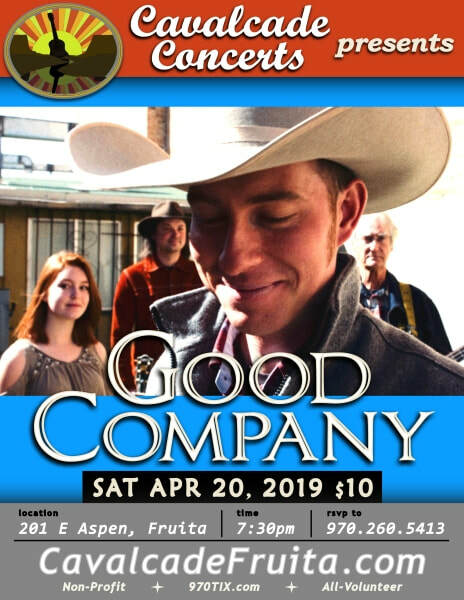 "Good Company", Saturday, April 20 @ 7:30pm! 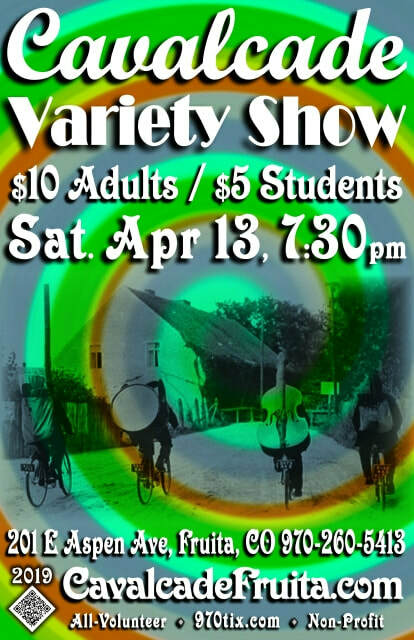 April 13th @ 7:30pm: Cavalcade's Monthly Variety Show! 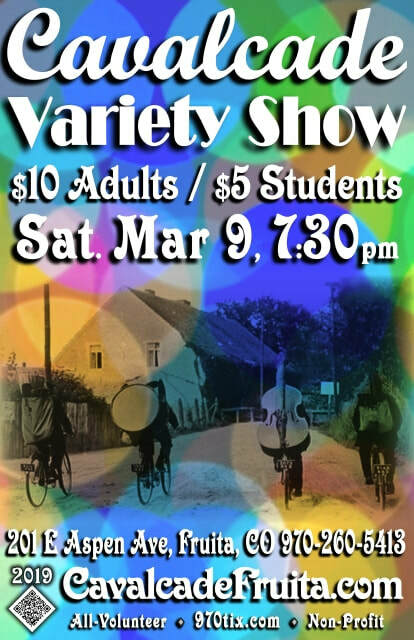 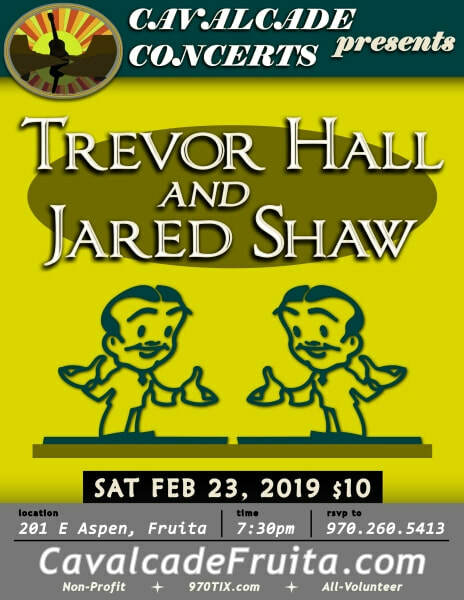 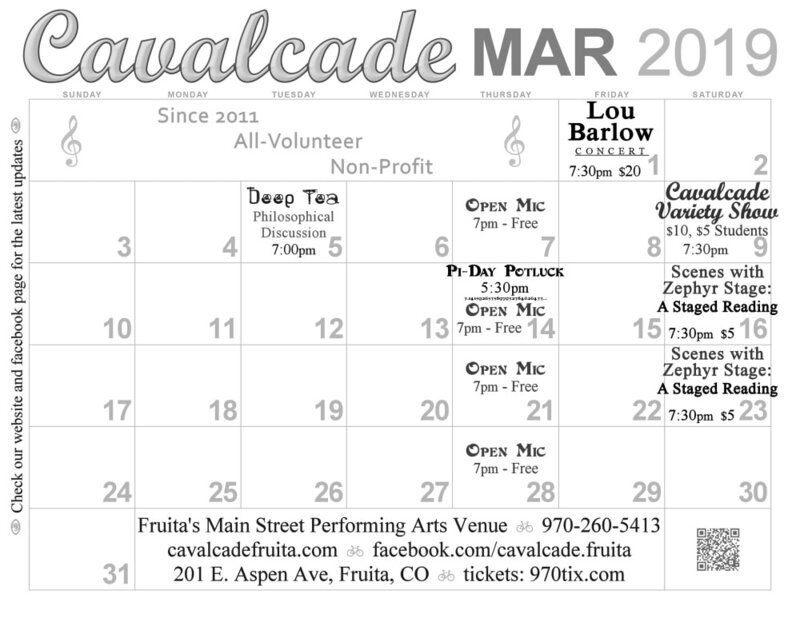 March 9th @ 7:30pm: Cavalcade's Monthly Variety Show! 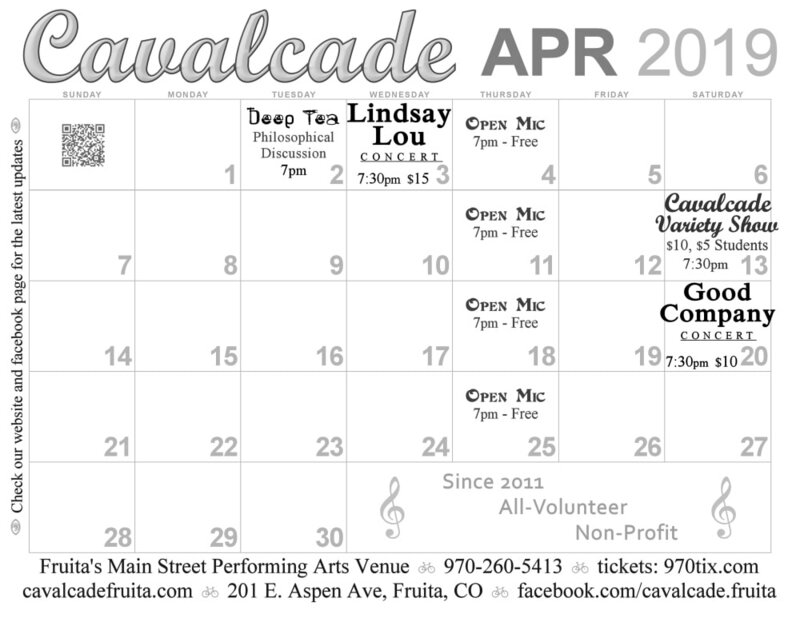 Here's our March calendar of events! 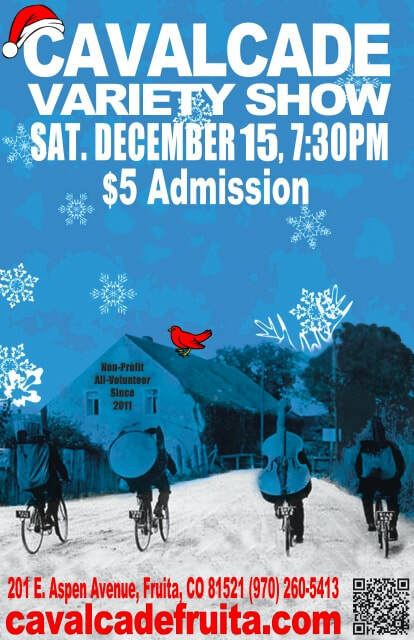 December 15th: Cavalcade's Monthly Variety Show @ 7:30pm!